Welcome to Baseball Week. As training camp approaches and baseball takes a break for its mid-summer classic, The MMQB presents a week of stories on the crossover between hardball and football. In the spring of 1995, with the MLB draft just around the corner, the Seattle Mariners invited two dozen or so prospects to work out at the Kingdome. The group included a mix of college and high school players, some big-time prospects and some long shots. 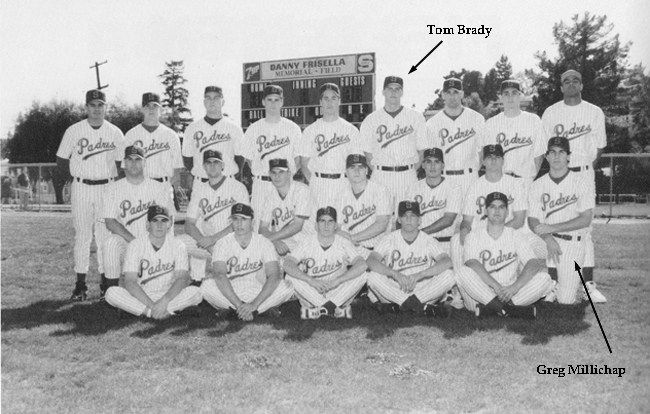 Among them was a promising 17-year-old catcher from the Bay Area named Tom Brady. The Mariners let the prospects change in the home clubhouse before the director of scouting ran them through drills on the field: the 60-yard dash, fielding exercises and batting practice. The prospects used wooden bats, just like the pros, and Brady even hit a few out of the park. “It was an incredible life experience,” Brady told The MMQB in an email interview. But the real highlight of the day came during a quiet moment in the clubhouse, where Brady and Greg Millichap, his high school teammate who was also invited to the tryout, came upon Ken Griffey Jr.’s locker. Back then, Griffey was arguably the most popular player on the planet. He was The Kid, 25 years old and already a perennial All-Star. Nintendo had just put him on the cover of a video game. Thousands of kids around the country were turning their hats backward and imitating his sweet swing. And there, in the locker, hung Ken Griffey Jr.’s jersey. So Brady and Millichap took turns trying it on and checking themselves out in a mirror. On their flight home, Brady turned to Millichap and said, Can you believe we just did that? With the MLB draft fast approaching, Brady had some thinking to do. At Junipero Serra High School, in San Mateo, Calif., he was captain of the baseball team and the star quarterback. He had a scholarship to play football at Michigan in the fall, and it seemed likely that an MLB team would draft him. But he couldn’t take the baseball signing bonus money and play college football. By the end of the summer he’d have to choose. 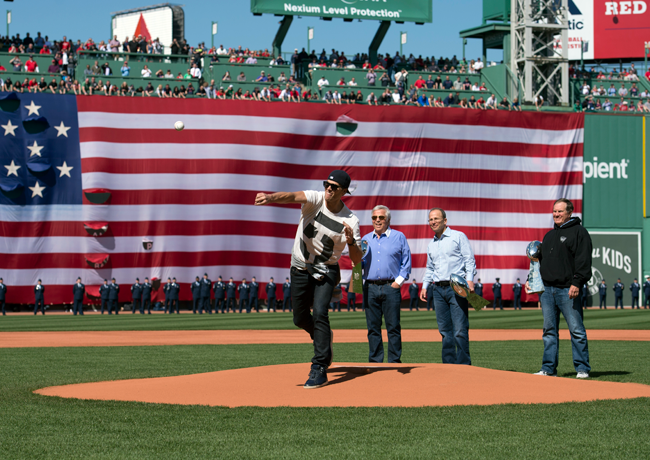 The 1995 varsity baseball team at Serra High in San Mateo, Calif.
Tom Brady throws out a ceremonial first pitch at Fenway Park on Opening Day in 2015. Brady was a legitimate baseball prospect, in part, because of the position he played. He was a catcher who threw with his right hand but batted lefty—a skillset that has become increasingly rare in the modern game. Of the 60 or so starting and backup catchers in baseball today, only a handful of them bat left-handed. Think: Joe Mauer, A.J. Pierzynski, Brian McCann. Brady had some power, too. He played two years of varsity baseball, 61 games in all, and he batted .311 and had eight home runs, 11 doubles, and 44 RBIs, according to press clippings. Pete Jensen, his high school coach, remembers Brady hitting one monster home run in a playoff game that struck the team bus—parked well beyond the right field fence—and waking the driver who was trying to take a nap. “Scared the heck out of him,” Jensen says. 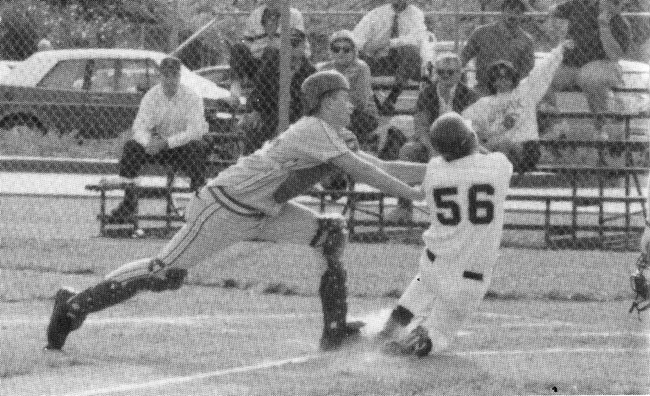 As a JV catcher in 1993, Brady applies the tag at home. Courtesy of Serra High School in San Mateo, Calif.
During his senior year, especially, Brady started receiving recognition for his baseball talents. His teammates voted him captain, he was named to the All-District team, and scouts flocked to Serra to see him play. Serra had a longstanding reputation of producing high-end baseball players, from Barry Bonds (class of ’82), to Jim Fregosi (class of ’59), and several others who had varying degrees of success but at least reached the majors. Serra’s reputation only helped Brady gain more exposure. One of the scouts who came was John Hughes, of the Montreal Expos. After watching Brady, Hughes wrote a report that caught the attention of the higher-ups back in Montreal. “[Brady] had a high ceiling,” recalls Kevin Malone, the Expos’ general manager at the time. “He was a left-handed, power-hitting catcher who was cerebral. He had arm strength. He had everything that would warrant him being projected as a major league all-star. He had everything.” The Expos sent at least one more scout to crosscheck Brady, and they soon reached a consensus that they wanted him. But there was one issue: Brady had indicated that football was his true love and that he intended on attending Michigan in the fall. If that were the case, drafting him would be useless. Malone decided to take a chance anyway and picked Brady in the 18th round, No. 507 overall. Then it was up to Hughes, the scout, to convince Brady to become a baseball player. Tom Brady, who was at Fenway Park on Opening Day 2015 to throw out a ceremonial first pitch, takes BP with former Red Sox ace Pedro Martinez before the game. A week after the draft, Hughes says, he arranged for Brady to workout with the Expos at Candlestick Park as the team passed through San Francisco. It’s common for teams to invite new draft picks to visit, but they usually only invite high picks. Brady received the full treatment. The Expos gave him his own jersey and had him meet one-on-one with Malone, the GM. They had him throw a little and take batting practice with the team. Hughes never made a formal offer, though. Brady stood firm in that he was playing football. “I knew pretty much all along that we were never going to sign him,” Hughes says, and with that, the Expos lost a strong-throwing, left-handed power-hitting catcher who, they say, had a chance to develop into a franchise cornerstone. Tom Brady and Ken Griffey Jr.